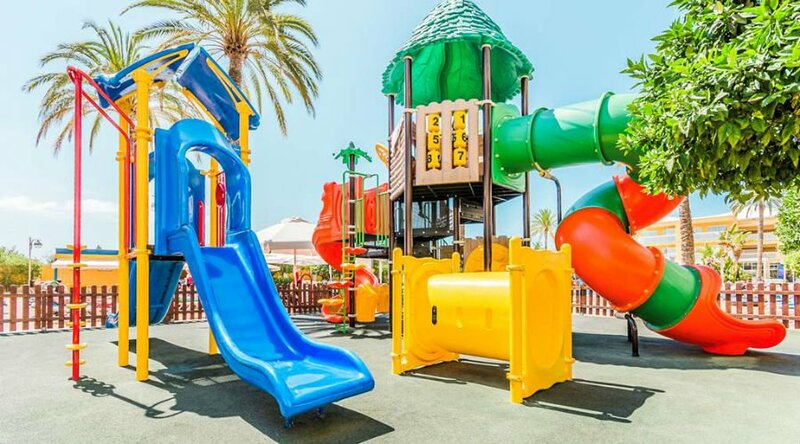 A guide to the best baby and toddler friendly hotels in the Costa Blanca including hotels near the beach, with splash parks and with activities for babies and toddlers. 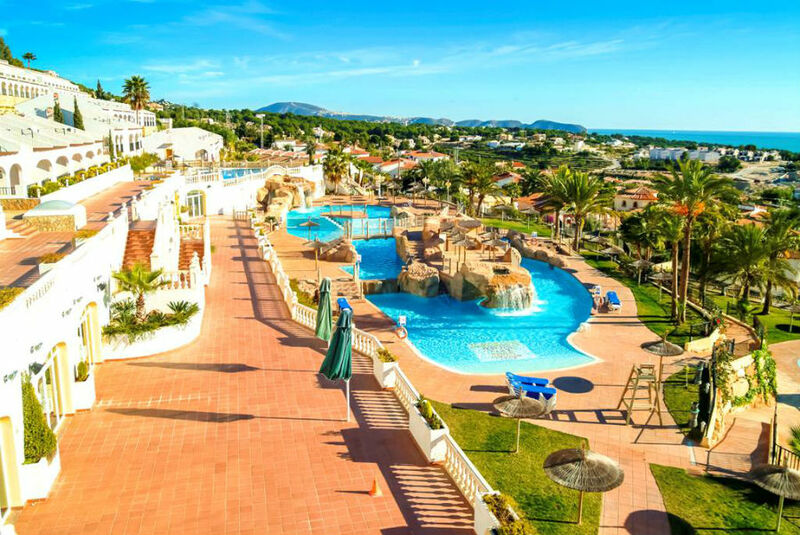 Read on to discover the best places to stay with babies and toddlers in the Costa Blanca. The Magic Natura is Europe’s first animal and water theme park located just outside Benidorm. All guests get free entry to the Terra Natura Animal Park and the Aqua Natura Waterpark so it is great choice for animal lovers and water babies!! The animal park has over 1500 animals including tigers, rhinos and elephants and there aren’t any bars or barriers to stop toddlers being able to see everything. Accommodation is in 1 bedroom / 2 bedroom Polynesian lodges and some of them have a Jacuzzi! 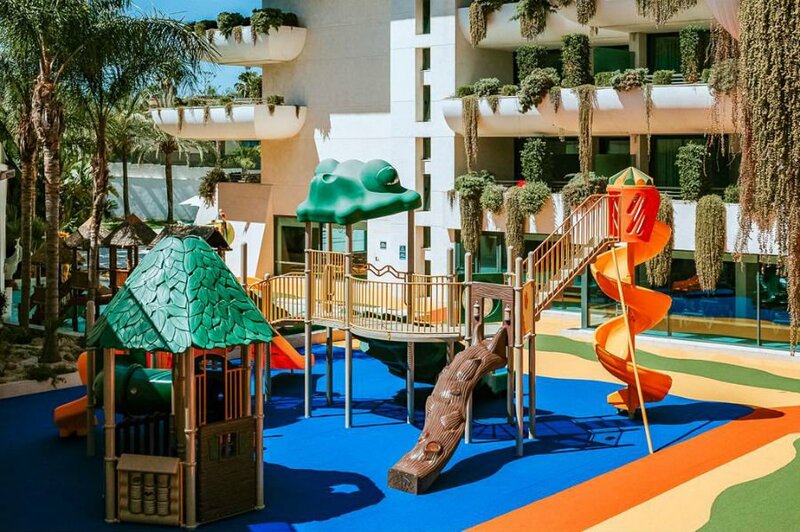 Toddlers will love this Robin Hood themed resort just outside Benidorm with its enchanted lands, splash park and even a Richard the Lionheart castle! The wooden lodges where guests stay are designed to transport you straight back to the Robin Hood story. 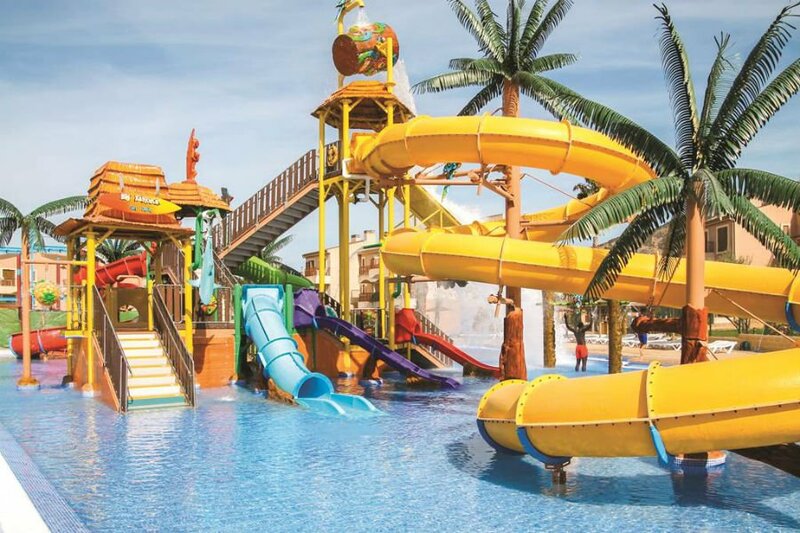 There is a massive outside pool area with a slides and children’s section as well as a water park and a Splash park with fountains, sprays and tipping buckets. Away from the pool is an adventure playground and an indoor soft play area. 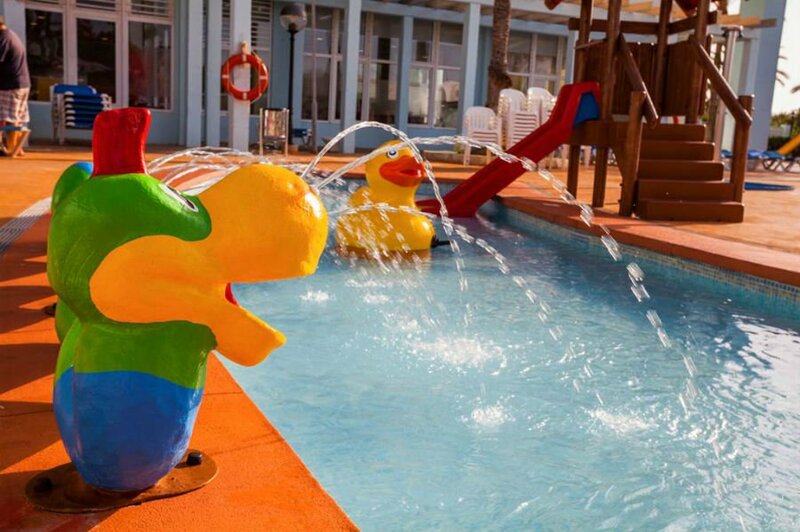 The Magic Tropical Splash is a fun filled hotel which is great for families looking for a fab baby and toddler friendly hotel in the Costa Blanca. 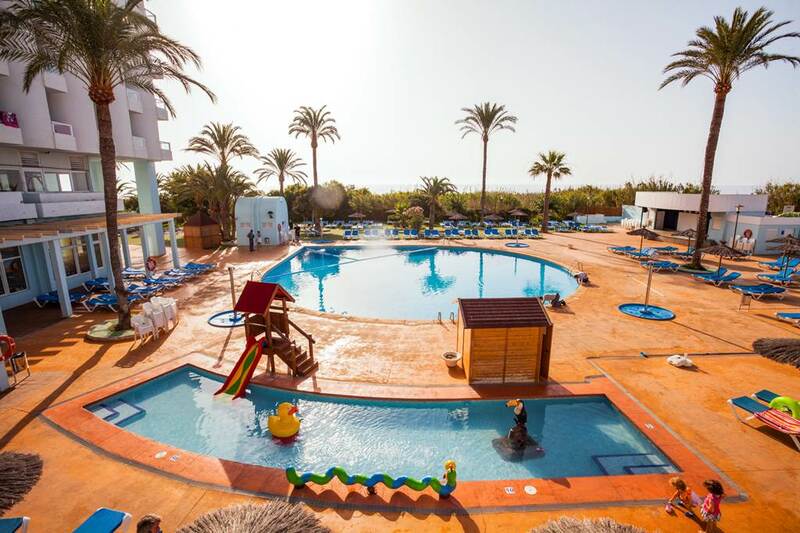 There is loads for babies and toddlers at this hotel including a huge lagoon style swimming pool and a Black Pearl splash park with fountains and tipping buckets. 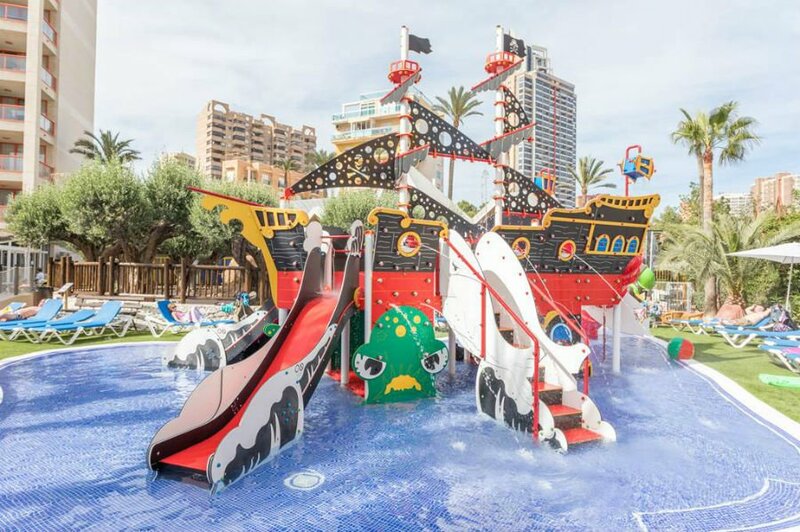 Older children will love the waterslides at the Pirate Adventure water park. As well as the pool area there is a Game Experience room which has games consoles and drama and music activities. Spacious 1 and 2 bedroom apartments are available, and the All Inclusive and All Inclusive Plus packages are great value for families. This African themed hotel is great for babies and toddlers. 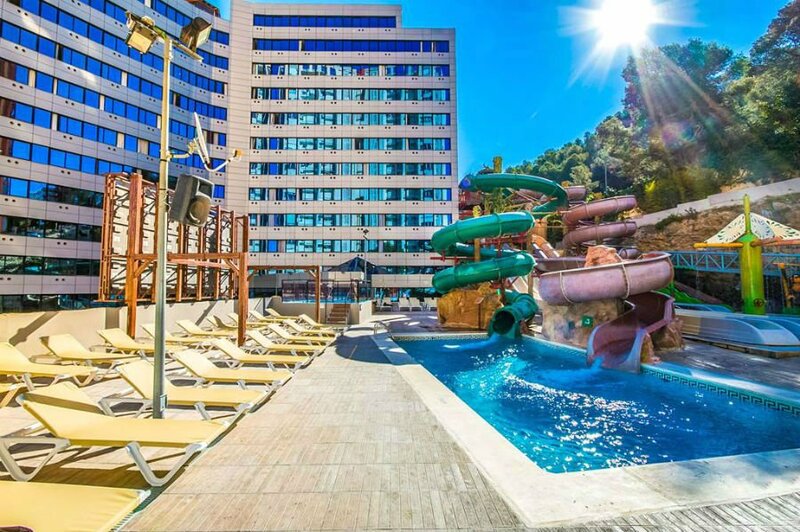 It is just 150m from the famous Levante Beach in Benidorm (down a steep but manageable hill), and has a great pool complex with waterslides and waterfalls. 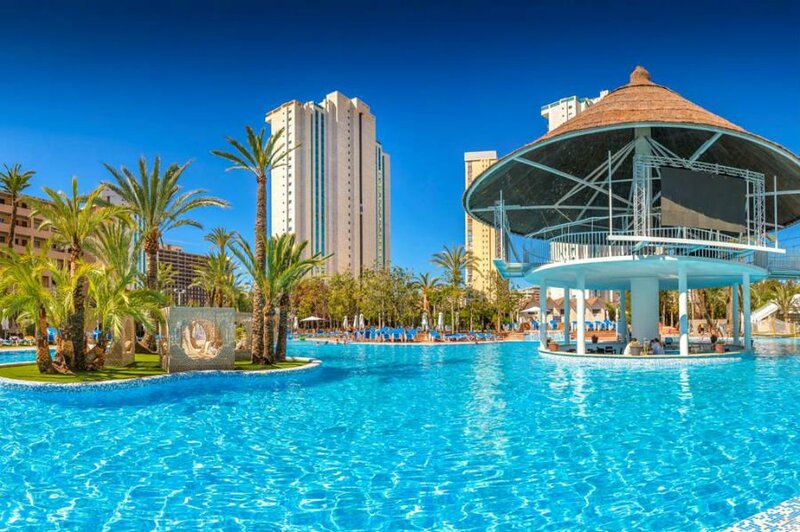 The All Inclusive Plus option is popular with families as it includes entry to some of Benidorm’s famous attractions such as the Terra Natura Animal Park, Aqua Natura Waterpark and Magic Benidorm Circus. 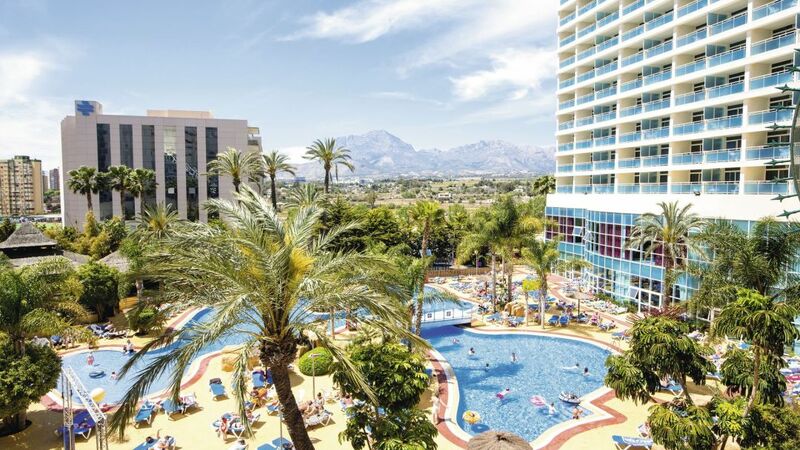 The Sol Pelicanos and Sol Ocas hotel is famous for its starring role in ITV’s Benidorm TV show! 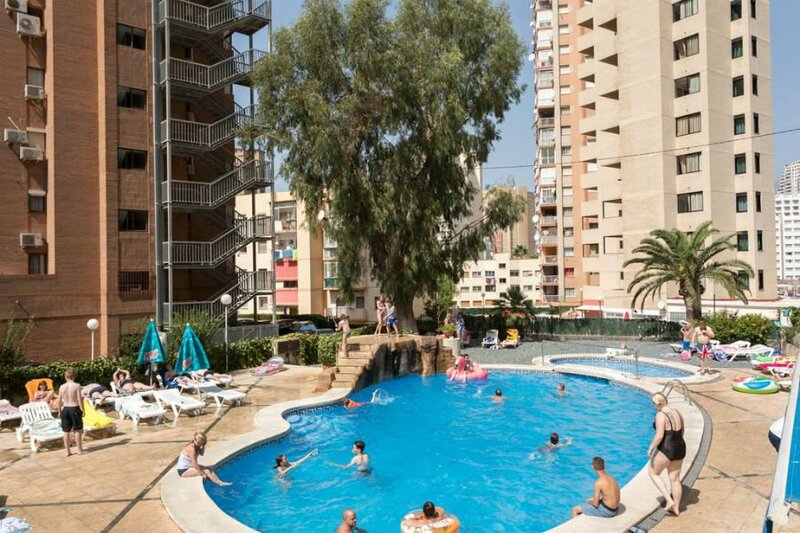 It is in the centre of Benidorm and a short walk from the sandy Levante Beach. Toddlers will love the 2 kids pools and little playground. 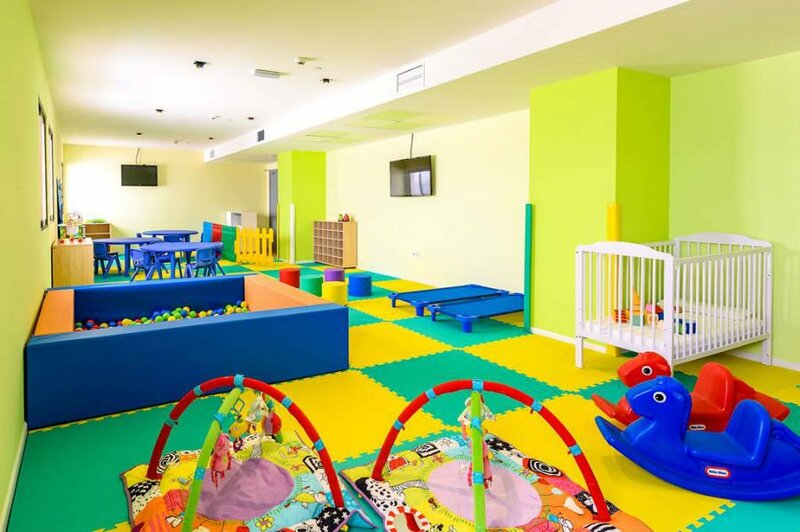 There is also a kids club for children aged 8 months – 4 years. Family rooms are available. Don’t miss a trip to Benidorm Circus which is close to the hotel! This modern 4* hotel is great for babies and toddlers who will love its jungle themed splash pool, playground and swimming pool! There is also a kids club for children aged 2+. The beach is just a short walk away. Spacious bedrooms are available, and you can choose from a choice of b+b, half board or full board basis. 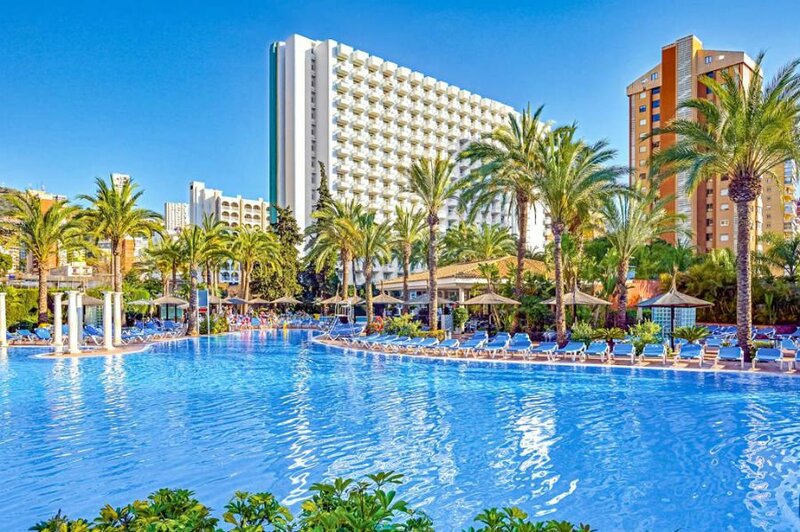 The Hotel Flamingo Oasis is in a great location in the quiet part of Benidorm but within easy walking distance of the main strip and famous Levante Beach. There is a giant lagoon style swimming pool with a children’s splash pool next to it. This hotel has great family friendly entertainment including West End musicals and shows. There is a TUI Family Life kids club for children aged 3+. 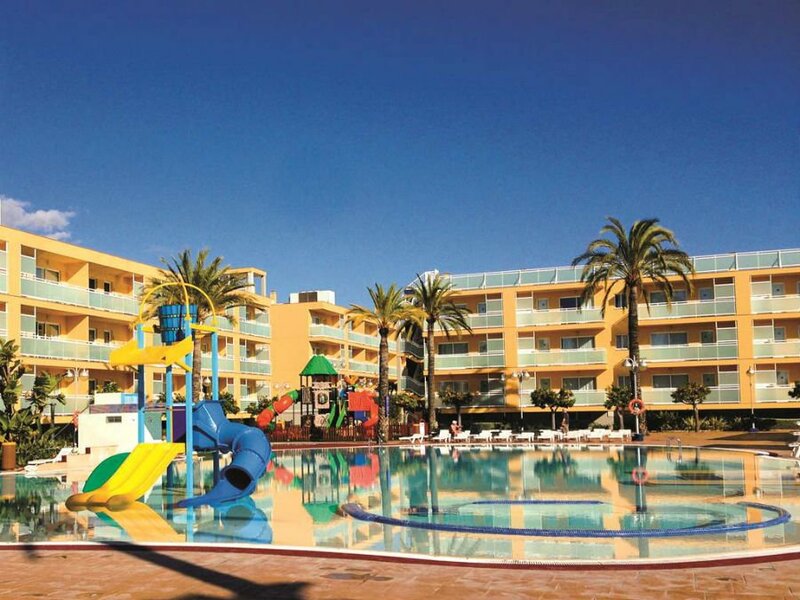 The Albir Garden Resort and Aquapark is located in the village of Albir just outside Benidorm. 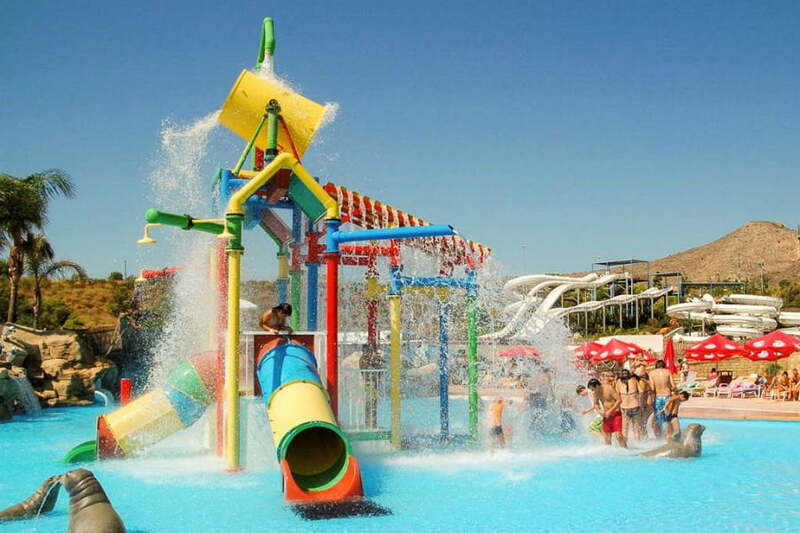 It has got a fantastic hotel waterpark, playground and kids pool. Spacious 1-bedroom apartments are available. Choose to stay on either half board or all-inclusive basis. Don’t miss a trip out to the famous Aqualandia Waterpark! 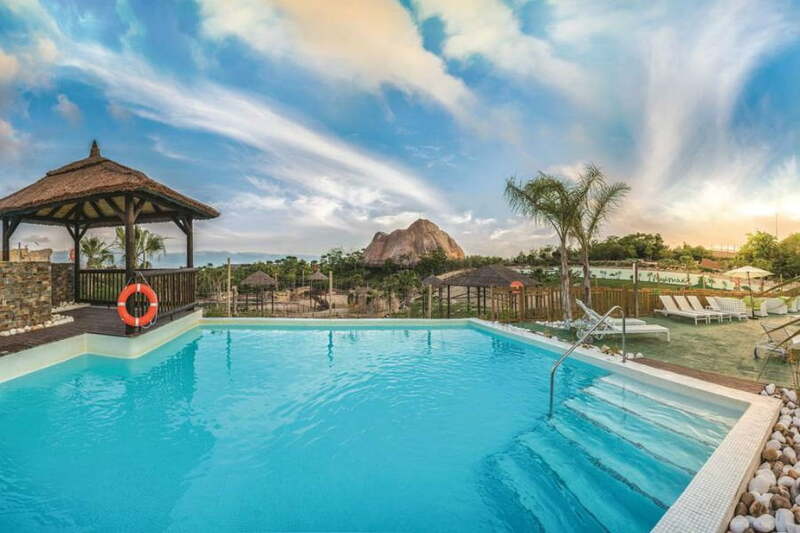 The AR Imperial Park Resort and Spa is set in a peaceful location in the hills of Calpe. There is a free shuttle bus into the centre of Calpe and the beach. There are 7 swimming pools at this resort including a lagoon style swimming pool and a few little waterslides for toddlers. The hotel offers a great value all-inclusive package, as well as half board. 2-bedroom apartments are available. 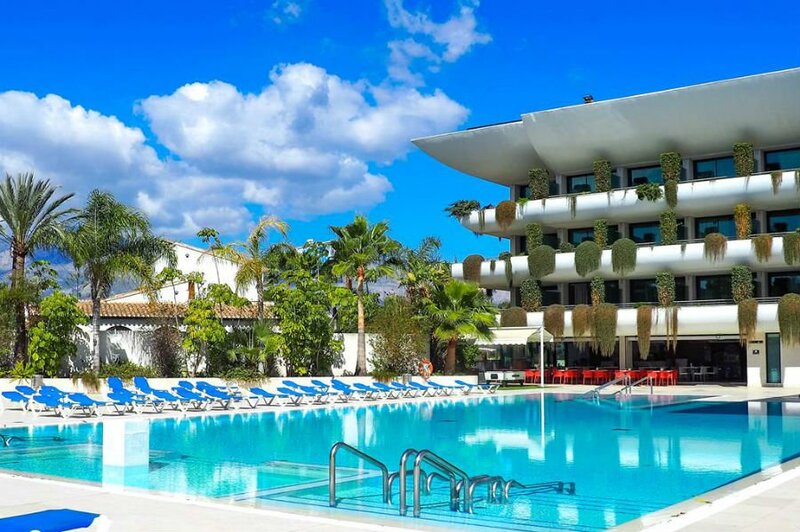 If you are looking for somewhere to stay with babies and toddlers in the Costa Blanca, check out the Hotel Mediterraneo. This low rise hotel is located just 1.5km from the Levante Beach in Benidorm and close to the Aqualandia waterpark. There is a relaxed pool area and a kids splash pool and a playground. 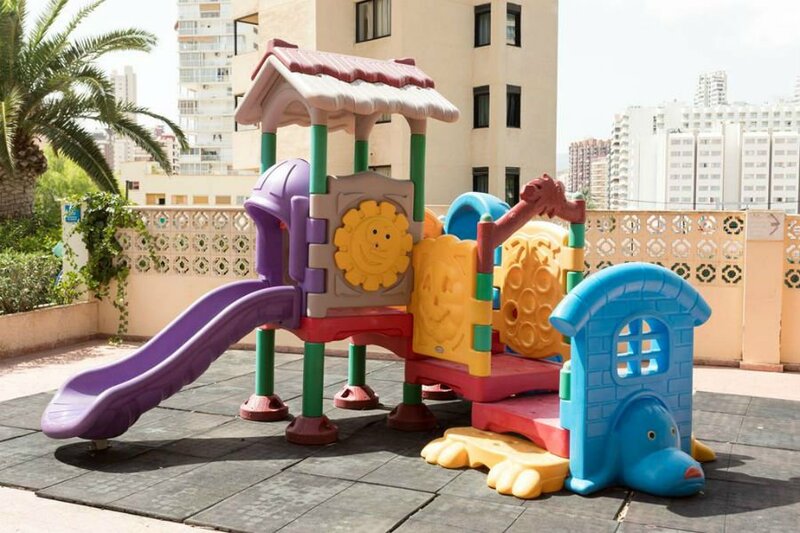 The Levante Beach Apartments are great for families looking for somewhere to stay with babies and toddlers in the Costa Blanca. 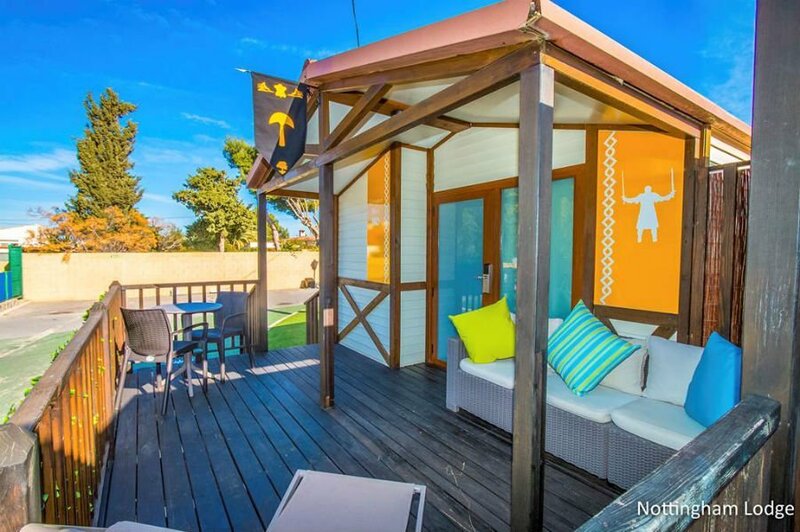 They are just 200m from Levante Beach and have a lovely swimming pool area and playground. 2 bedroom apartments are available. 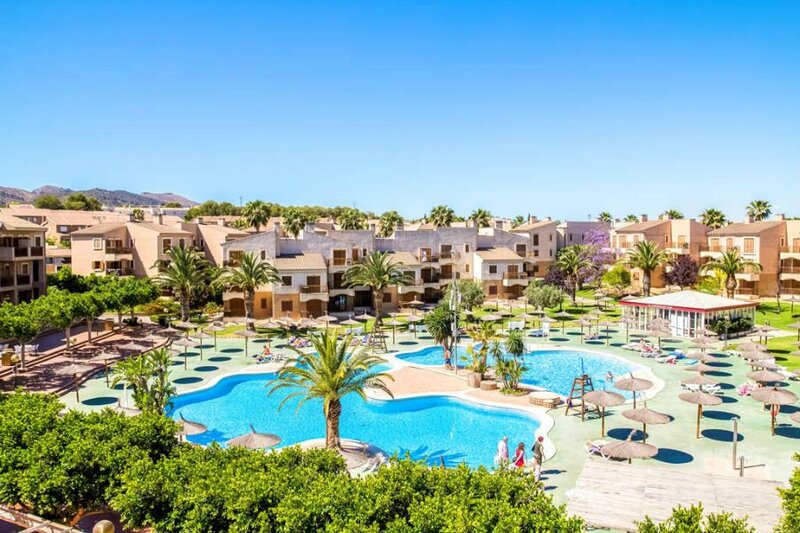 All Inclusive is available at these apartments, and all of your meals will be served at the Levante Club Resort just across the road. The award-winning Aparthotel Terralta is just outside of the centre of Benidorm and a short walk from the beach. 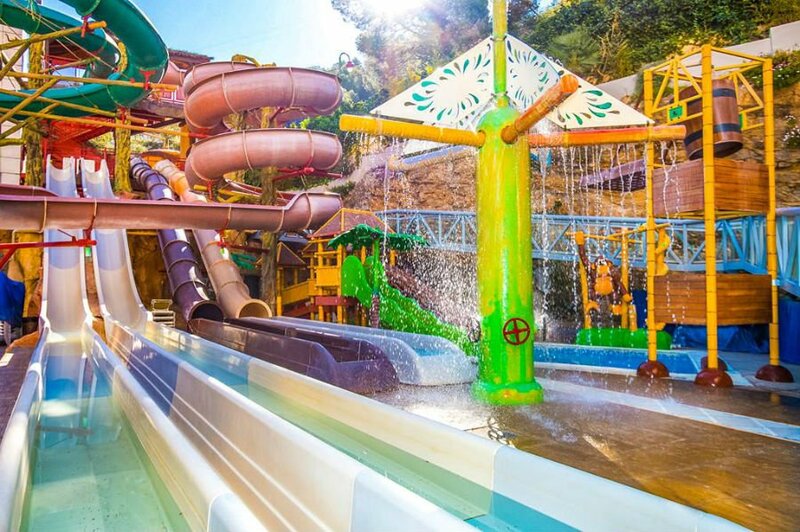 Toddlers will love the amazing splash pool with waterslides and the playground. 1 and 2 bedroom apartments are available. The peaceful Hotel Playas De Guardamar is in a quiet location overlooking Moncayo Beach and a nature reserve. 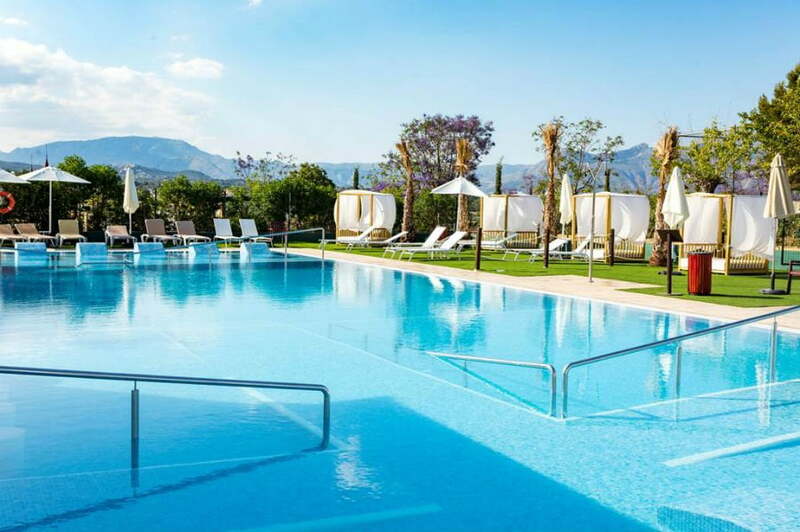 Families will really be able to enjoy the peace and tranquillity of the Costa Blanca at this hotel whilst exploring some of the local towns and villages. There is a lovely kids pool with little waterslides and fountains which is great for younger children. All Inclusive is available. 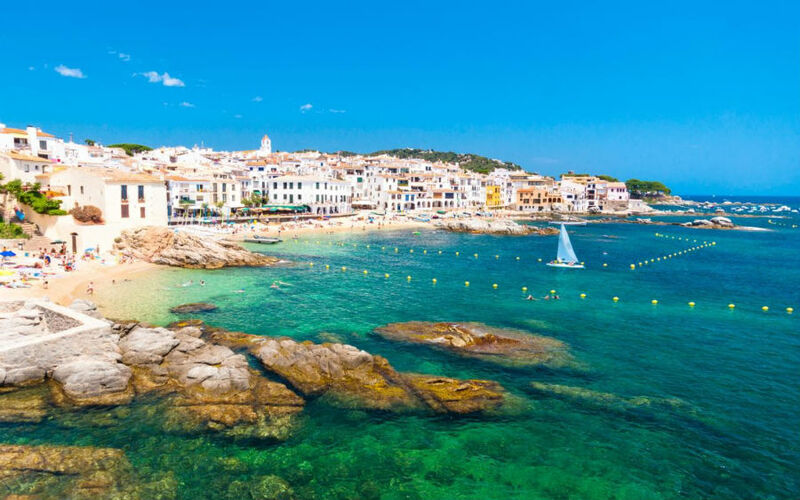 Can you recommend any baby and toddler friendly apartments in the Costa Blanca?